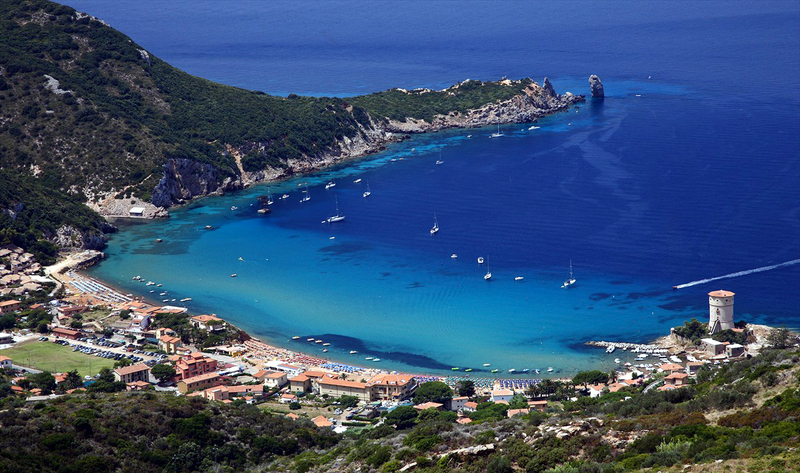 To reach the island of Giglio you take the ferry to Porto Santo Stefano (Monte Argentario) where two shipping companies (Toremar and Maregiglio) perform several times daily with destination port. Coming from the North, Florence or Pisa, you pass on the freeway and continue towards Rome on the Via Aurelia. After about 34 km exit at Albinia and follow the reporting for Porto Santo Stefano (12 km). From the South, Rome, once they leave the A12 follow the Via Aurelia until Orbetello. After crossing the village, follow the signs for Porto Santo Stefano (12 km). Isola del Giglio is one of the seven islands of the Tuscan Archipelago, on a clear day, the island's highest point is able to offer a spectacular view overlooking the coast and the other islands of the archipelago. Although the island is completely mountainous, its East Coast is flat and gentle sandy beaches, while the western part is formed by steep slopes and cliffs overlooking the sea. Do you want to travel with your family to get to Isola Del Giglio? Do you like adventure and freedom and you want to reach the destination Isola Del Giglio with your moto ?